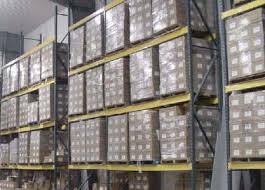 With Our Pallet Rack Safety Inspections, You Can Rest Easy Knowing That Your Racking System Will Be Thoroughly Checked For Damage And Replacement Needs. Inspections are performed by a trained and accredited inspector, and undertaken at least once every twelve months. Following this inspection, a professional report is presented containing the description of the general condition of the installation (floor, usage, lifting device, load). The inspector will be able to classify and evaluate certain forms of damage and deformation (protection systems, anchoring system, safety pins, yokes and beams).